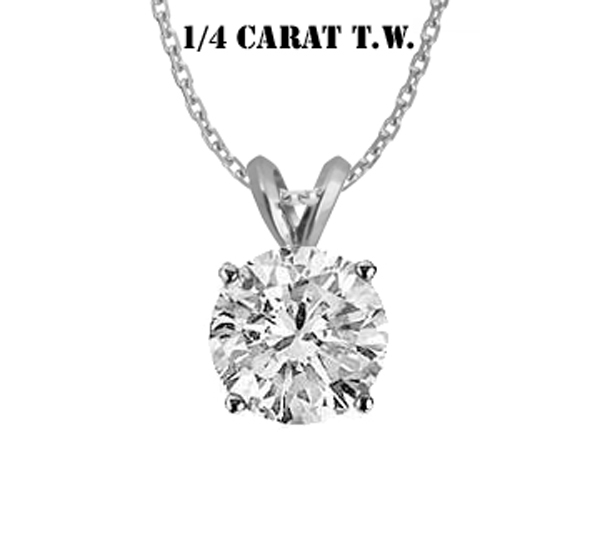 Diamond Pendant - Tyler-Adam Corp.
14 Karat White Gold Diamond Pendant w/16 inch Cable Chain. 1/4 carat T.W. Quality G/H SI1. All Pendants come with GIA certificate. Click to View Sample GIA Certificate.